So, I'm going to be real honest, this book was well written, but not for me. I thought it would be interesting because it held a great mystery and when I read other reviews and the synopsis, I was drawn in to find out what happened to his other wife as well, but I won't spoil it. The story takes place in 1920, where a young woman named Gwendolyn falls in love with a dashing older gentleman. When I first started to read it, I was kind of quite bored, but then again, this is me. I had to stop and ask myself "Why am I reading this book?" because the beginning brought itself on to be a romance novel, and not towards her husband, more than a mystery novel. 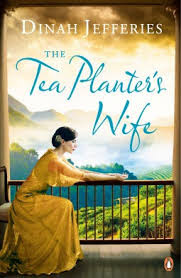 I could not seem to connect with a book that I have previously read that were around the same time era and it caught me off guard seeing Gwen disobeying her mother, or going against her mother's wishes and choose to live in Ceylon with her husband whom she did not even know for more than a weekend? It was quite refreshing, but at the same time I just couldn't get pulled into the story itself. I suppose what I am trying to get across is that, I could not get a grasp on the story, and that is all me and my preference. I do however believe that the book was beautifully written, and presented. Perhaps at a later time I will come back and revisit this book for a second time, and give it another whirl. Perhaps it is just not my time to relate to this book, but I do recommend giving it a try! My rating for the book is 3.5/5. I ordered this book for my wife yesterday. She likes period pieces like this and loves to read. It seems similar to Romeo and Juliet. They only knew each other for a few days and feel madly in love. I apologize for such a late reply. I do agree on that aspect of the book, it was very much like Romeo and Juliet, and they fell in love in like a party/night in London. I plan to give it a reread in the near future.